Here at Hunters Estate Agents and Letting Agents Kingswood we pride ourselves on being vibrant, prompt and reliable. We always go that extra mile, keeping the good reputation that our flag ship office has always had. We are regularly first on Rightmove for listings and sales compared to our nine competitors! 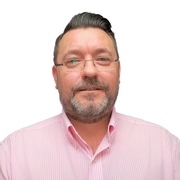 Our director Noel Offer has been in the business for over thirty years. The rest of the team at Hunters Estate Agents and Letting Agents Kingswood consist of: Branch Manager Angie Clifford who is supported by negotiators Andrianna Sampson, Jade Gregory and Tess Block, as well as our mortgage advisor Martin Strong, so we can cover all aspects of the business – valuations, sales, lets, sales progression and mortgage advice. We all live locally so we know the location and clients well, which brings them back over and over again! Contact Hunters Estate Agents and Letting Agents Kingswood for a FREE property sale or rental valuation! Jade was amazing when buying our first home, nothing was too much trouble! Definitely recommend! I just wanted to drop you a quick email to express our delight with the service we received from your sales negotiator Jade based in the Kingswood Office. 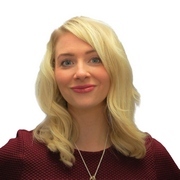 Jade was a pleasure to meet and had very good knowledge of the property we viewed yesterday, which clearly came from the excellent relationship she had with the vendor. She also took the time to show us another property in the area within our budget that we were also very impressed with. It was clear she was being proactive and working for her vendors to secure sales. We have since had our offer accepted on the first property! We are very excited to move in! Andrianna, Thank you for your help in getting our first house. We're so happy to be in and starting this journey. Thanks for being so lovely! To Angie, Andrianna and Jade. Thank you so much for all the help with selling our house. We love our new home! About 12 months ago I asked 5 local agents to value 2 flats I had for sale. 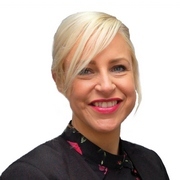 It was not an easy valuation and by far the most impressive in terms of both knowledge and approach was Angie Clifford from your Kingswood office (then Besley Hill). The first flat went through smoothly, the second fell through twice through no fault of your staff. At each point I was advised wisely and always kept in touch. My main contact point was 'Jade' who did a great job throughout. All of the staff were helpful and professional, clearly taking their lead from Angie. Click to view preferred suppliers for Hunters Kingswood. VAT Reg No: 821 3901 57 | Registered No: 04867204 | Registered Office: 9 Portland Square, Bristol, BS2 8ST. A Hunters franchise owned and operated under licence by Leedpool Limited. 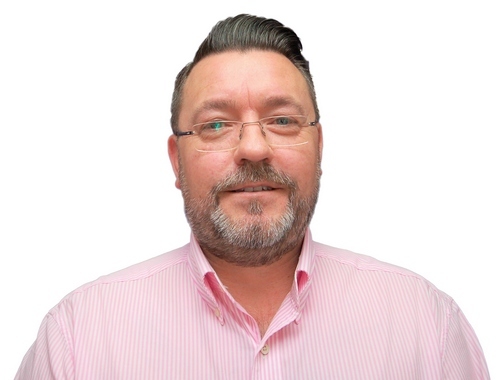 Noel has been working as an estate agent in Kingswood for over 30 years, his knowledge of the area really is second to none. Selling property and dealing with land transactions is his passion. A traditional agent, who cares deeply about his clients. Angie has been with the branch for over 10 years progressing from being a part time member of staff all the way to branch manager. 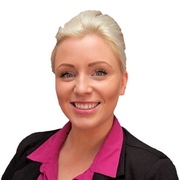 Angie has expert knowledge in the field of valuing houses and is very passionate about customer care and service. Jade has a brilliant style and manner. Always smiling and her amazing attitude always comes across when dealing with clients. Living in the area all of her life, gives her the edge on the competition. Jade is the back bone of the Kingswood team. Tess has an extremely professional manner. Tess co-ordinates the teams appointments and provides support to the whole office. Tess will always go the extra mile for our clients and this is always appreciated. Kingswood Forest was the Royal hunting estate that surrounded Bristol in Saxon and Norman times. This is where Kingswood bore its name. A very bus centre with "The Clock Tower" being a focal point of Kingswood and it's the towns best known landmark. Kingswood Park is the starting point of the yearly Remembrance Parade, which is heavily supported by the local population. The main shopping centre is up for redevelopment, which will revitalise the area completely, it will also bring a lot of new business's to the area. Considering the redevelopment scheme, Kingswood will release its potential to be a main hub from the city centre (as its location is on the main A420 out of Bristol), this in turn will effect house prices to the good and both private households and investors alike will increase values in the area. Kingswood is located on the main A420 coming out of Bristol towards Bath. Its ring road links to Bristol, Bath an the M4/M5 motorway network, coupled with the redevelopment scheme will bring a lot of new business and could provide a perfect place for the commuter (Bristol, Bath & London) along with the rail link improvements planned for Filton Parkway to London stations, this area is a sleeping giant, ready to rise! The local schools in the kingswood area provide ofstead reports at outstanding levels and the new Kings Oak School meansyour child can enter at primary level and leave at senior, which is a first for many miles around. The areas schools performances (Ofstead based) have improved year on year, which in turn has seen property values increase.